In 1941, New York intellectual playwright Barton Fink comes to Hollywood to write a Wallace Beery wrestling picture. Staying in the eerie Hotel Earle, Barton develops severe writer's block. His neighbor, jovial insurance salesman Charlie Meadows, tries to help, but Barton continues to struggle as a bizarre sequence of events distracts him even further from his task. One of the Coen brothers very best movies. Dark, disturbing and hilarious! I always say that my favourite Coen brothers movie is the last one I watched, because almost all their movies to date have been brilliant, and it's very difficult to choose THE best. But lately I've been leaning towards 'The Big Lebowski'. 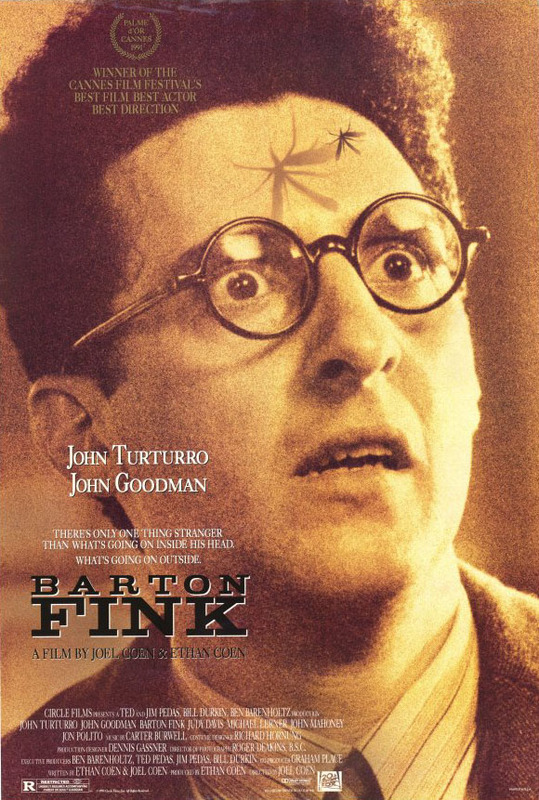 In the back of my mind there's always been 'Barton Fink'. For some odd reason I have never owned this movie and I have been waiting for a DVD release to rectify that oversight. Eventually I got sick of waiting (and for 'Miller's Crossing') and went out and rented it again, and it's just as great as I remember it to be. So now I'd say it ties with Lebowski as my favourite. Both movies are wildly original and funny works that draw upon many genres. They also both feature John Goodman, John Turturro, Steve Buscemi and Jon Polito. But people's reactions to the two greatly differ in my experience. I haven't met anybody yet that I've brow-beaten into watching Lebowski that didn't enjoy it, but 'Barton Fink' is more of an acquired taste, and often doesn't go down well.Some people just don't "get it". Maybe it's too dark for them, maybe it's too esoteric talking about "Wallace Beery wrestling movies" and "that Barton Fink feeling", I don't know. But I loved it! And for me it is almost as hilarious as Lebowski. Turturro gives a great performance, Goodman an even better one, possibly the best of his career to date. Their scenes together are absolutely brilliant. I also loved the bits between Turturro, Polito and Michael Lerner. Lerner is fantastic in this, easily his best role. And I also really enjoyed John Mahoney's portrayal of a William Faulkneresque alcoholic writer. But really EVERYBODY is superb in this movie, I can't fault any of them.And the script, direction, editing, sets, costumes, music are all amazingly well done. 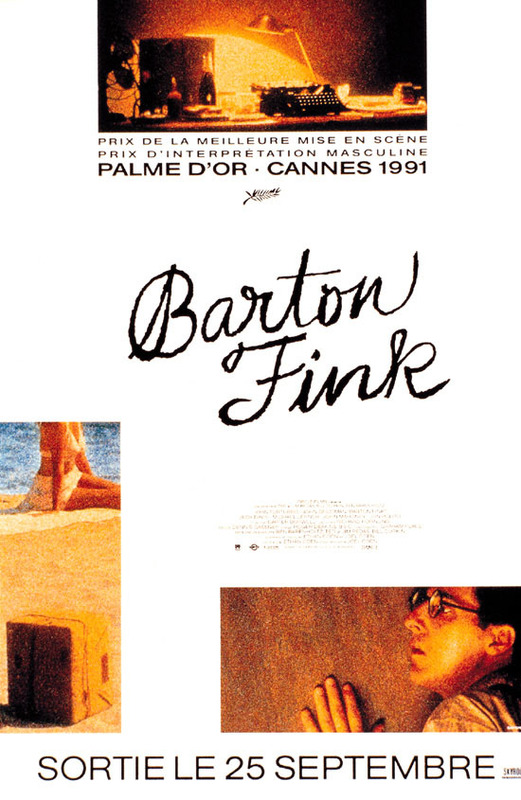 'Barton Fink' is a masterpiece and I cannot recommend it highly enough.It may not be the Coen brothers most accessible movie but it is definitely one of the best movies they have made to date.